The Gurkhas are an elite fighting force from Nepal who have served in the British Army since 1815. They occupy a unique place in the public’s imagination, and are renowned for their loyalty, strength, professionalism and courage. 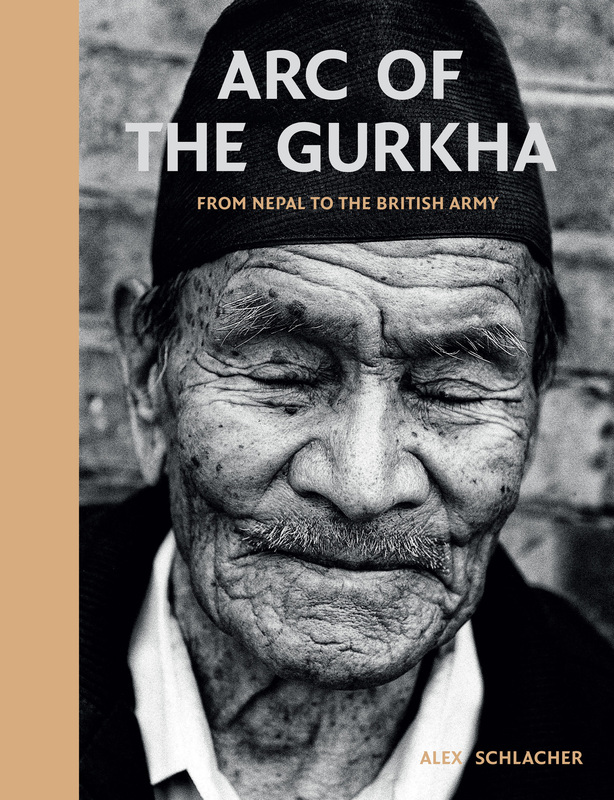 Arc of the Gurkha: From Nepal to the British Army by Alex Schlacher is a stunning and powerful book of photographs that reveal the human face of the legendary Brigade of Gurkhas. There have been other books about the Gurkhas, but none has focused on the individual soldiers, their backgrounds, lives and experiences. Arc of the Gurkha explores the span of a Gurkha career from recruitment through to training and deployment up to post-military employment and retirement. Alex Schlacher has accompanied the Gurkhas on operations in Afghanistan, on exercises in the Brunei jungle and Australia; she has visited all the units in the Brigade as well as retired and medically discharged Gurkhas; she has taken intimate portraits of hundreds of soldiers and heard their stories. Beautifully presented and exquisitely crafted, this extraordinary publication is the first to explore what it really means for a Gurkha to be a Gurkha. The book can be purchased or ordered from all good bookshops or online from Amazon and other e-retailers. Shortlisted in the Photography category of The 2015 British Book Design and Production Awards. The winner will be announced Thursday 26 November 2015. The Washington Post features an extensive interview with Alex Schlacher. Read it in full here. Die Weltwoche, a Swiss weekly magazine, published an article on Alex’s experiences in German and featuring some of her photographs, which can be viewed here (a translation without the pictures can be read here). Austrian weekly Profil magazine also published an article about the Gurkhas featured Alex’s photographs and a pdf can be viewed here (click here for the English translation). Special Forces website SOFREP.com has an interview with Alex that can be read here. If you would like to find out more, you can watch the BBC News interview with Alex Schlacher here. Alex has also been interviewed by the British Forces Broadcasting Service. To watch it, please go here. She has also been featured on BBC World News – Impact; this can be accessed here.